Century Regional Detention Facility | Bail Bond, Arrest & Jail Info. Century Regional Detention Facility | Bail Bond, Arrest & Jail Info. If a female friend or loved one has been arrested and taken into custody in the Century City/Lynwood area, and is being held at CRDF, call a friendly, licensed bondsman at Adventure Bail Bonds. We’ll get working quickly to assess the timing of the bond, and work quickly for your friend or family member’s release. Call us 24 hours a day at toll-free 855-414-2245 for fast answers. CRDF is located in Los Angeles County and is often referred to as “The Women’s Jail” because this is often where female arrestees in L.A. County are taken. 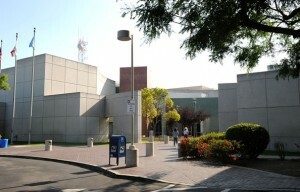 Lynwood jail is a busy facility. When a woman has been arrested in L.A. County, after a certain amount of time, she will very likely be transported to this facility. The City of Lynwood contracts with the Los Angeles Sheriff Department in order to meet their law enforcement needs. There were two rehabilitation programs being held at CRDF/Lynwood. However, they have been relocated to North Pitchess Detention Center. CRDF continues to provide a booking center for Century Station, Compton Sheriff’s Station and for all female prisoners. Individuals arrested and taken into custody in the Century City / Lynwood area are taken to the Century City Station for the initial booking and processing procedure. This is when fingerprints and photographs are taken; with a background check being conducted as well. The length of the process will vary depending on how busy the police station currently is, however a typical time frame will be anywhere from 2-6 hours. It all begins by giving us a call and providing the name, birth date and date & time of arrest of your friend or loved one. After that, we will locate them and verify their eligibility for bail. Once eligibility has been established, there are just a few short forms you need to sign and the bail bond application process is complete. We are capable of handling this process at our office, your current location, at the jail or even by fax or email — whatever is more comfortable and convenient for you. To make paying for the bond easy, we offer several ways to pay including cash and credit cards. We also can set up a flexible payment plan to meet your familie’s budget. Just give us a call to find out more. Bailing someone out is a big responsibility; doing so basically states that you are assuring the court that the defendant will show up for all of their court appointments. Should the defendant fail to meet their responsibilities to the court, it is you who will be financially responsible as the bail bond signer. When a defendant fails to show up for court, it is known as “a forfeiture.” When this occurs, the indemnitor, will be responsible for the full amount of the defendant’s bail. It is important to note, though, that many missed court appointments are often the result of a simple mistake in scheduling. If your friend or loved one misses one of their court dates, the first thing you should do is call us. In many cases, the problem can be cleared up with a simple phone call. This is a good question. The first thing that may come to mind when finding out a friend or loved one has been arrested is that they should remain in jail in order to teach them a lesson. However, life is not always that simple. Bailing someone out of jail will allow them to continue with their life while they await their day in court. Whether it be attending classes, going to work, or just handling general family responsibilities, one cannot do these things while they are in the custody of law enforcement officials. Bailing them out could save their job, allow them to complete classes or, take care of their children, at the very least, get their business in order should they be required to serve any time in jail. Should you need any more information on Century Regional Detention Facility (CRDF) – Lynwood Jail ? If so, call and speak with a licensed bail bondsman right now at toll-free, 855-414-2245. Someone is available 24 hours a day to take your call.